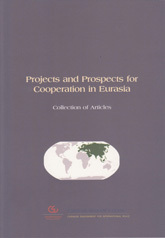 In 2008 Russia’s President Dmitry Medvedev has named technological innovation one of the key priorities of his presidency. 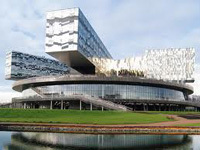 The Skolkovo Innovation Centre was Medvedev’s grandiose high-tech hub. 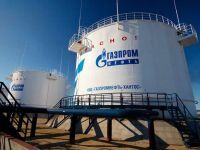 For quite a long time Gazprom demonstrated indifference to the shale or liquefied natural gas (LNG), but today situation has changed, and Lithuania should be concerned about the internal and international aspect behind these changes. 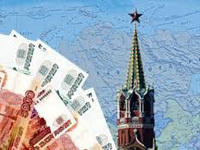 „The island of stability in the midst of crisis“, Russian officials have recently said about the economy of their country. 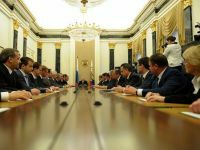 Russia managed to accumulate reserve funds due to high energy prices; gas and oil have become an integral part of politics. But was this beneficial for Russian economy? 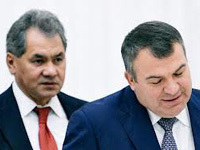 At the beginning of November 2012, general Sergey Shoigu, former emergency situations minister and Governor of the Moscow region, was appointed the minister of defence of Russian Federation. Russia‘s former defence minister Anatoly Serdyukov has become a witness in the case related to over a multi-million dollar military property fraud case. 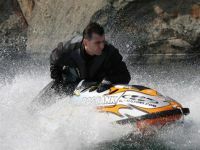 (...) Was A.Serdyukov really so bad? Is S.Shoigu the only person capable of improving the situation? In Russia the end of the last year was marked by Vladimir Putin’s first (after inauguration) address to the Federal Assembly, and his press conference. The fight against corruption: should Russian political elite start worrying? The end of the year revealed new trends in Russia‘s political life related to several major corruption scandals which seriously affected the ruling elite. 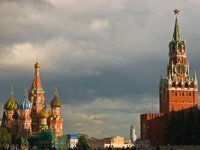 Although corruption is one of the key problems of Russian central government, it seems that only now the fight against curruption has acquired tangible dimensions among the high power structures. When Vladimir Putin has again been elected Russian President and started forming a new Government, political analysts were surprised to see defence minister Anatoly Serdyukov left in place although he was deeply unpopular in the armed forces. When the Parliamentary Assembly of the Council of Europe accused Russian authorities for the restriction of human rights and the authoritarian dictatorship, the latter started to search for the local enemies and for the opposing forces in other countries. They turned their eyes to Lithuania: scandalous Vladimir Zhirinovsky accused our country of “plotting a coup in Russia”. It is not easy to evaluate the relationship between Russia and NATO. 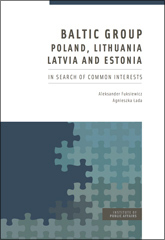 In the public space the attitude toward NATO is negative. This attitude was inherited from the Soviet times, and Russia practically does nothing to change the situation. The statements of Russian authorities also demonstrate this hostile approach. 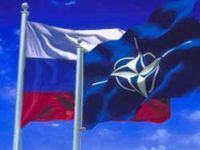 On the other hand, Russia and NATO could be treated at least as partners, since Russia‘s interests are not always totally opposite to the ambitions of the Alliance. 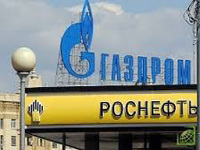 Russian Ministry of Economic Development (MED) acknowledged that in 2016 “the shale gas revolution” spreading from the United States might cause serious problems to Gazprom’s business in Europe; besides, more competitors are emerging in the domestic market. In view of this MED suggested the Concern to increase effectiveness of investment and coordinate pricing policies with the Government. 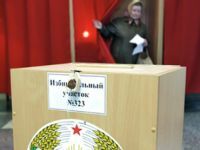 The political marginality of Russia’s post-Soviet liberal democrats – not to be confused with Zhirinovskii’s ultra-nationalist, so-called LDPR – is, above all, a result of the ruthlessness of neo-Soviet anti-liberalism. Especially, since the rise of Vladimir Putin, the Kremlin has purposefully obstructed the activities of liberal parties, politicians, circles and movements. Dmitry Medvedev has become Prime Minister of Russia and together with Vladimir Putin (at least officially) formed a new government of the country. Putin’s supporters must have expected more changes in the government than his opponents. Despite obvious changes in the Cabinet it is too early to say that expectations have been fulfilled. 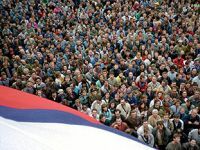 The accomplished Russian parliamentary and presidential elections and the subsequent protests against the declared by the opposition rigging of the results are good "stress test" for the authorities disclosing at the same time the actually available reserve funds. 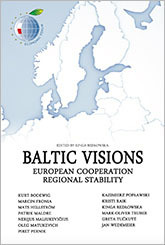 As regards Belarus, including a number of other states in the post-soviet area, the two campaigns may be considered demonstrative. 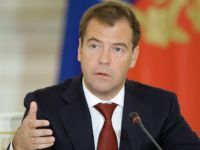 Recently Vladimir Putin was re-elected Russia’s President, yet Dmitry Medvedev has been the country’s chief executive for four years (formally at least). Let’s take a look at the years of his presidency. The winner of the Russian presidential election scheduled for 4 March is almost clear - it is the current Prime Minister Vladimir Putin. The only question is whether Putin wins in the first round of elections. If not, this might destabilize Russia’s political life and question Putin’s personal authority and the authority of his “United Russia”.